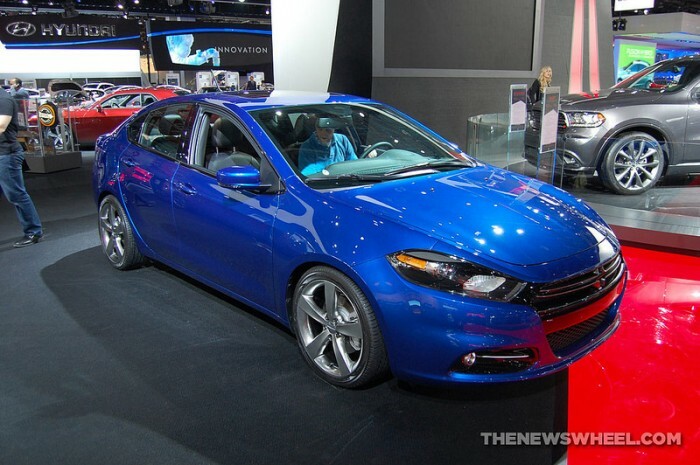 We will be getting a Dodge Dart SRT in 2016. For real, guys. The Fiat Chrysler business update is already creating quite the buzz today, with several additions to and subtractions from the Jeep brand and a plug-in minivan addition to the Chrysler brand. Dodge and SRT weren’t left untouched by the execs, and what may be good news for Dodge is nothing but a death toll for SRT. Yup, it’s official: the SRT brand is dead, and along with it, the SRT Viper. Instead, Dodge will reclaim the Viper as its own. In fact, Dodge will be stepping up from its position as Fiat Chrysler’s mass market brand into more of a performance car role. Most importantly, this means we’ll finally get a Dodge Dart SRT. Now that you have contained your excitement, we are happy to confirm that, no, we weren’t making it up: an all-new Dart really is in the works for 2016 and, yes, along with it is the Dodge Dart SRT. Reportedly, it will be on an all-wheel-drive platform and—get this—turbocharged. i should have flipped ahead. Yes, Dart SRT with AWD and “HO” Turbo. #Neon/#SRT4 owners, rejoice. But the Dart isn’t the only one getting the SRT treatment. We can also expect a Dodge Journey SRT for 2017. Yes. A Journey SRT. But there must be some concessions for Dodge going forward. When the new Chrysler Town & Country hits roadways, we’ll be saying goodbye to the Grand Caravan. There may be more, but we’re waiting on official word from Fiat Chrysler.